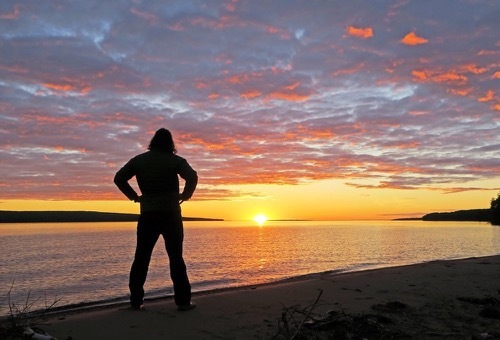 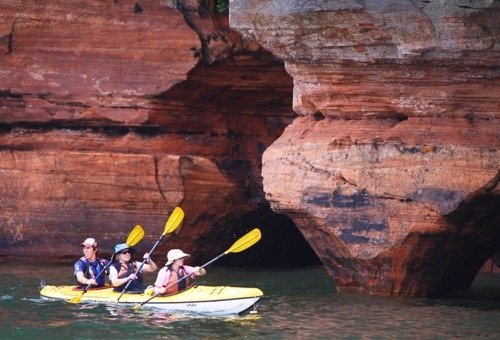 Lake Superior has the largest surface area of any freshwater lake in the world and its Apostle Islands archipelago offers a variety of natural and cultural treasures to explore. 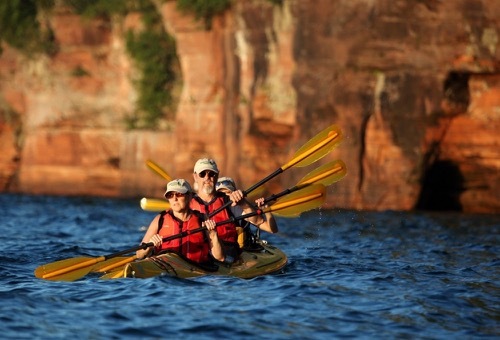 Join us on a paddle to wave-sculpted sea caves, a historic lighthouse, or sunken shipwrecks. 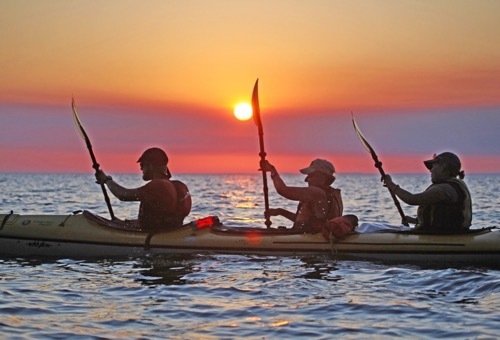 Choose your vessel – Voyageur canoe or sea kayak. 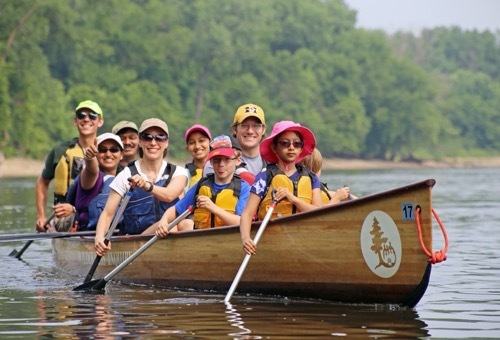 We provide Voyageur canoes or Eddyline kayaks, staff, equipment, and interpretation. 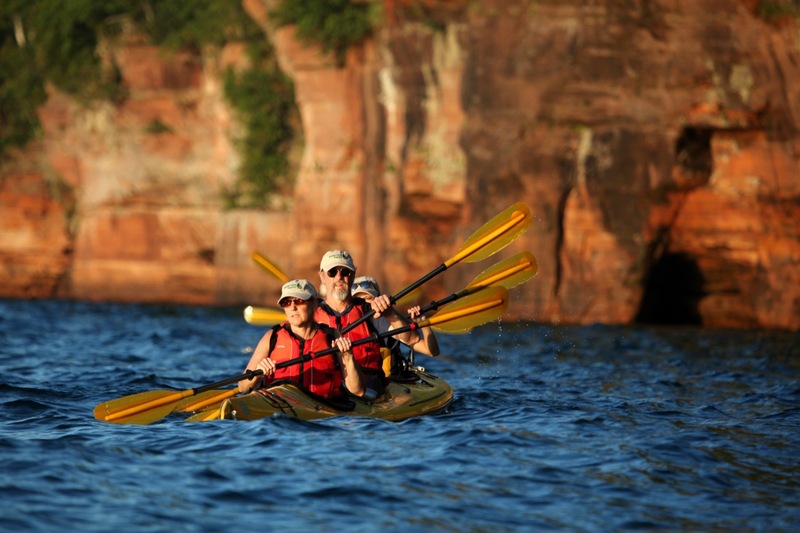 These trips include and engage everyone regardless of their age, ability, or previous experience. 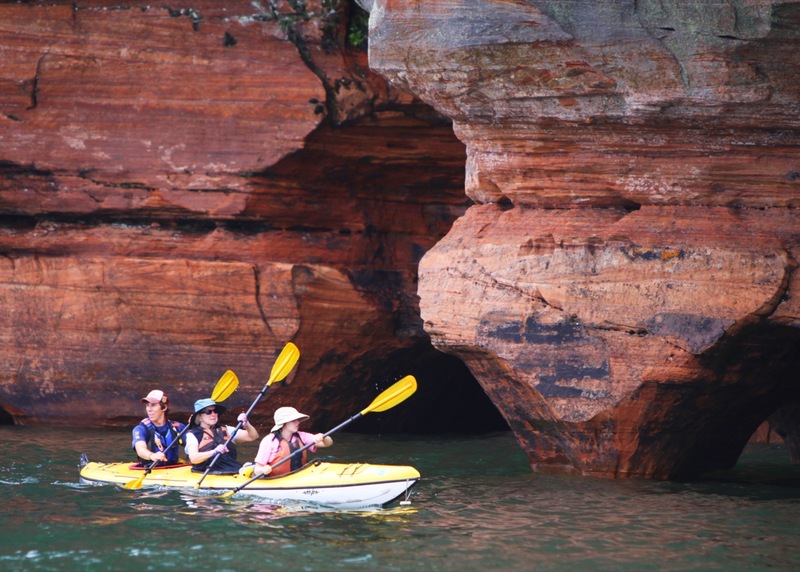 Come experience the Apostle Islands National Lakeshore from water level. 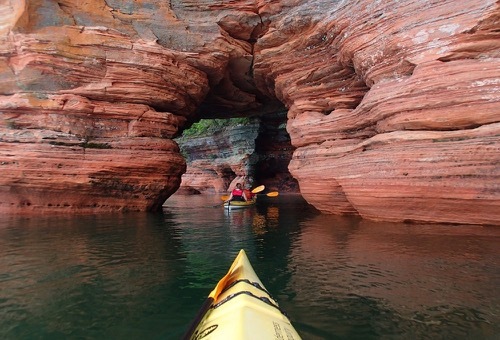 Day 1: Choose from several routes: explore sea caves, paddle over shipwrecks, or explore the Bark Bay Slough. 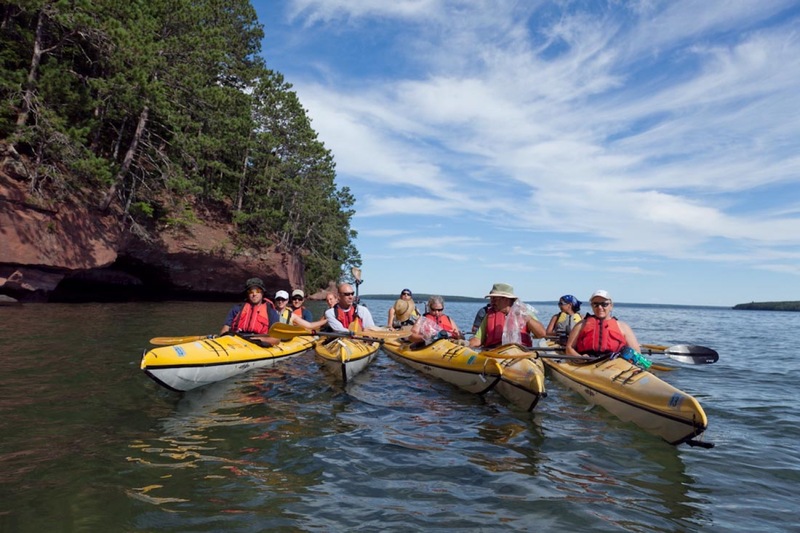 Meet your group at 9:00 am at the designated launch. 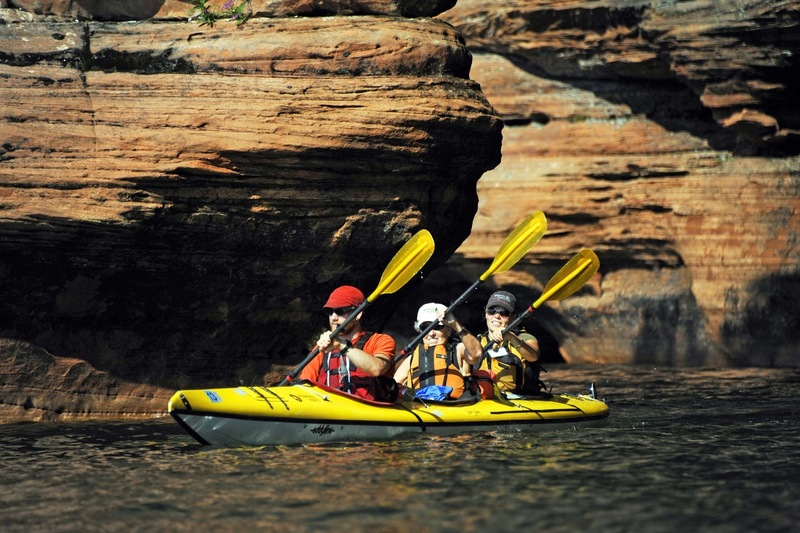 Get geared up and participate in a kayaking orientation before taking off for your paddle. 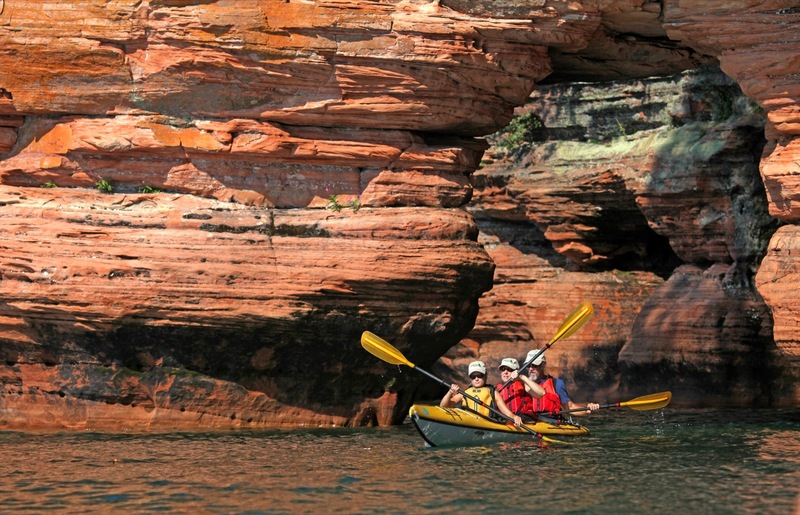 Expect to return to shore between 3:00 and 4:00 pm. We have several routes to choose from, including paddling from Meyers beach the to spectacular Mawikwe Bay sea caves or out to Sand Island. Other options include the Fedora, Ottawa, and Coffinberry shipwrecks of Red Cliff Bay or the unique ecosystem of Bark Bay Slough. 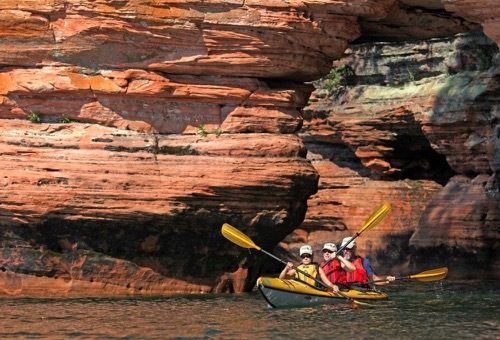 Your trip will have a pre-selected first choice route, but the route may change depending on water and weather conditions.